1. On your first login for Plesk®, you will be prompted to Please Enter Administrator's Information. 2. Type the relevant data into the form and then click OK. Important Note: It is critical that you enter this information before utilizing your Virtual Private Server. 1. Click [add new] next to the My own subscriptions. 1. 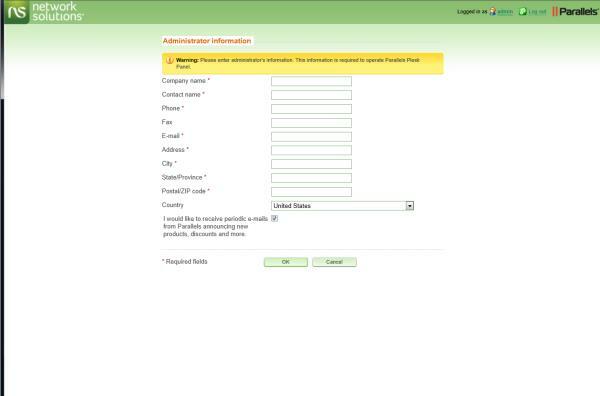 Fill out the subscription with your Domain and FTP details. 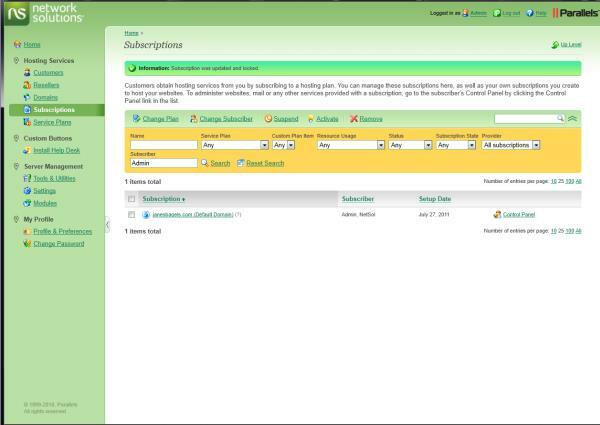 Then choose the type of subscription. 2. 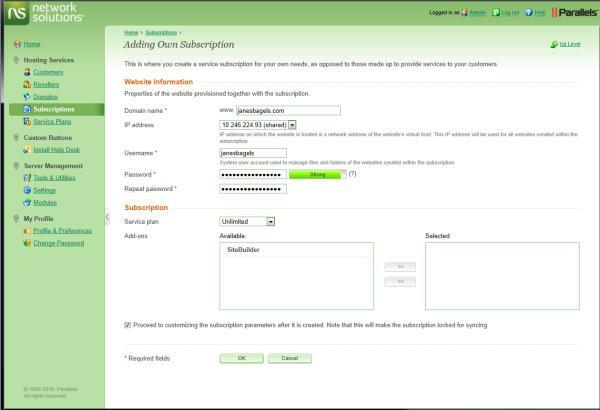 Check the Proceed to customizing the subscription parameters after it is created option. Note: This step makes the subscription locked for syncing. 3. On the following page, click OK.
1. Once complete click update & lock. 1. Following this you will be taken to the subscriptions page. 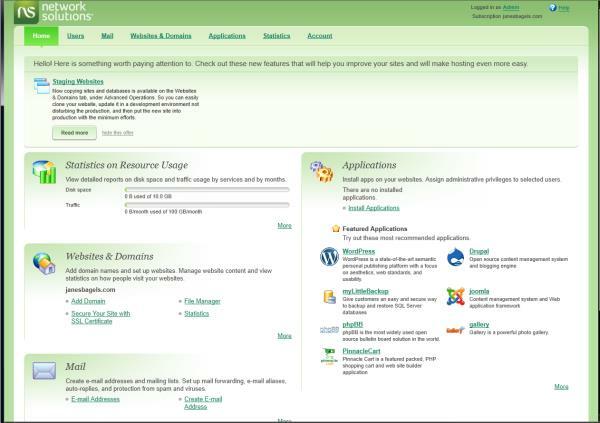 At this page you can go into this domain’s hosting control panel. 2. From the control panel you can add databases, applications, add FTP users, and other such tasks. You have set up Parallels Plesk. Through a partnership with Network Solutions and Parallels, we have made several guides available to you. The following user guides and Online Help are provided by a third-party vendor, all other logos and trademarks are the property of the respective trademark owners.